With a non-slip clamp, your cell phone or GPS device will get perfect protection. And it will make your device guard against any accidental falls. 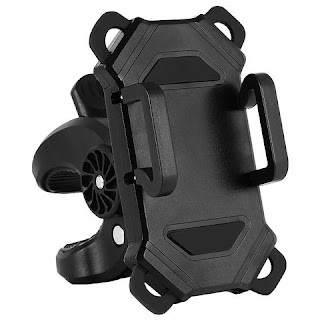 With this bicycal smartphone holder, you will not get lost, turn the wrong way, or miss phone calls on your bike. Modernize your riding experience with access to live GPS, video recording, phone calls, and instant fitness metrics from your smartphone. Make your new journey outside fun and memorable.